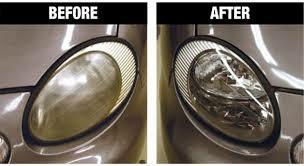 Are your headlights sandblasted, gouged, pitted, or yellowed? Let the professionals at Darling’s Collision Center restore your vision today! The results will wow you – and restoration is only a fraction of the cost of replacement.